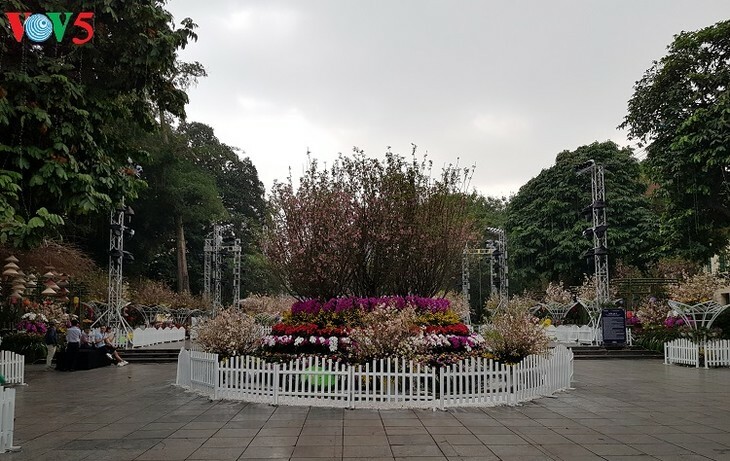 (VOVWORLD) - The 2019 Japan cherry blossom festival took place at the King Ly Thai To Flower Garden in downtown Hanoi in late March, featuring unique cultural and artistic performances by both Vietnam and Japan. Held for the fourth consecutive year, the festival was brought to Hanoi by the municipal People's Committee, the Japanese Embassy in Vietnam, and the International Progressive Joint Stock Company (AIC). "Some 20,000 branches of Japanese cherry blossoms were displayed at the festival, while 100 trees were taken to Hanoi for plantation. 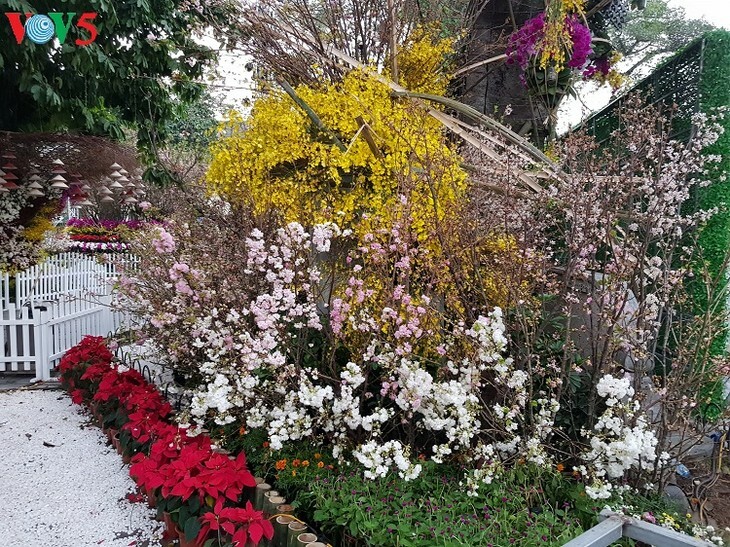 Many of Vietnam’s eye-catching flowers – such as moth orchids, cymbidium orchids, lilies, and poinsettias – are also exhibited," said Le Vinh, Deputy General Director of AIC. This year, a goodwill ambassador was selected for the first time to encourage cultural exchange between the two countries. The ambassador will be responsible for fostering Vietnam-Japan friendship by attending events related to Japan and Vietnam held in the two countries. 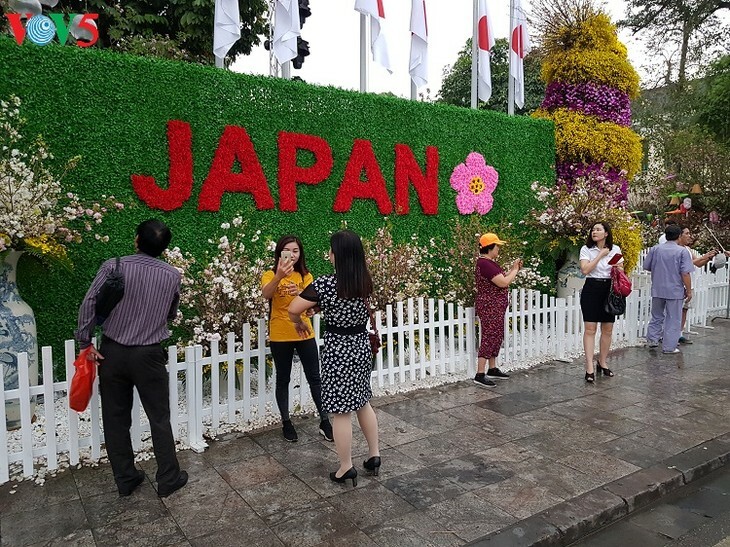 "The Vietnamese cherry blossom goodwill ambassadors must have a passion for enhancing Vietnam-Japan ties as well as knowledge of and interest in Japan and N4-level Japanese speaking ability," said Bui Van Phuong, Head of Tien Phong (Vanguard) Newspaper’s Editorial Board. Japanese tea culture, chess, Yosakoi – a unique style of dance staged by large teams - and folk games, were introduced at the event. Visitors had a chance to taste Japanese and Vietnamese dishes showcased at 20 pavilions set up at the Hanoi Children’s Palace. 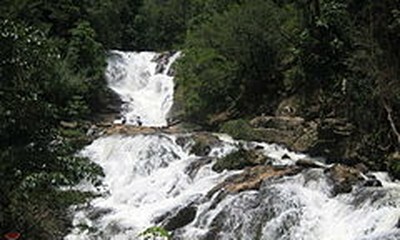 There were also investment and tourism promotion conferences, and an exchange programme on education and healthcare. "Each year, the organizers come up with new ways to make the festival a more attractive destination for visitors. This year, along with Japanese cultural activities, Vietnamese arts like ca tru (ceremonial singing) and hat xam (blind wanderers’ music) were also introduced to further promote both countries’ tangible and intangible cultural values," To Van Dong, Director of the Hanoi Department of Culture and Sports and head of the organising board, told VOV. "I’ve noticed several changes in this year’s festival, such as more varieties of Vietnamese and Japanese flowers. I find different kinds of local flowers modeled into famous landscapes and symbols of the two countries very eye-catching. I hope the organizers will extend the festival next time," said Nguyen Hue Chi, a Hanoi resident.